Brega Marketing Company, a wholly-owned subsidiary of Libya’s National Oil Corporation (NOC), confirmed yesterday the dissolution of the Fuel and Gas Crisis Committee and the sacking of its head Milad al-Hajrasi. Hajrasi has been ‘‘referred for investigation’’, it added. Brega is responsible for importing and distributing cooking gas and fuel in Libya. News of the two actions have been circulating on Libyan social and conventional media for at least two days now. However, yesterday Brega broke its silence in an extraordinary statement in which it claimed that both the Committee and its head were fictitious. Brega said that the Committee was an illegal entity that it never created and that its head was appointed on 5 May 2015 by the illegal National Salvation Government put in place by the militia coup of 2014. In view of this, Brega said that the very popular Fuel and Gas Crisis Committee’s Facebook Page was ‘‘a media front used as a cover for smugglers in order to mislead public opinion and to disseminate fake news and to misappropriate the anti-smuggling efforts of others or to claim a relationship with them’’. It stressed that the Committee’s former head ‘‘no longer represents Brega Marketing Company in any form’’. The extraordinary revelation by Brega has led to an out pouring of public dismay in Libya. Whatever the legal status of the Fuel and Gas Crisis Committee and its head Milad Al Hajrasi was, it had succeeded in creating a huge popular and populist following through its alleged anti-smuggling efforts. 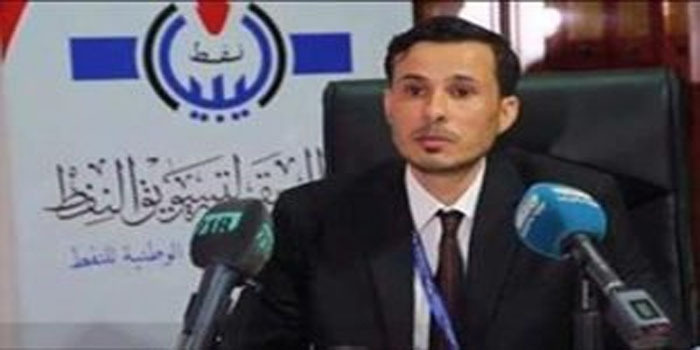 However, yesterday’s statement by Brega seems to raise doubts about the anti-smuggling claims of actions and activities that the Fuel and Gas Crisis Committee and its head Milad Al Hajrasi have been making. The incident has led to many conspiracy theories being thrown about and claims that the Fuel and Gas Crisis Committee and its head Milad Al Hajrasi are being removed by vested interests, maybe within Brega and the NOC, because of their success in curbing smuggling. What is also difficult for the Libyan public to accept is that Hajrasi has been photographed with numerous Libyan officials and out in the field of action on the Tunisian border on many occasions. He has been photographed in an official meeting with NOC chairman Mustafa Sanalla and Presidency Council head Faiez Serraj. Hajrasi has also held a number of press conferences with the media in Tripoli – without ever being challenged by the Tripoli authorities. The recurring question by many Libyans is: why now? Why had the NOC’s Brega Company waited so long to act?